6 Meter Beacon Carrier Frequency: Nominally 50.0700 MHz. 2 Meter Beacon Carrier Frequency: Nominally 144.2990 MHz. 70 Centimeter Beacon Carrier Frequency: Nominally 432.3990 MHz. For precise signal measurements of the beacons, see the "Parameter Measurements" section. Location: Located 4 miles east of Fairview, Utah (Grid square DM49ho) at approximately 8365 feet (2550 meters) ASL. 6 Meters: Approx. 100 Watts EICRP (Effective Isotropic Circular Radiated Power). 2 Meters: Approx. 100 Watts EICRP (Effective Isotropic Circular Radiated Power). 6 Meters: Cycloid Dipole. This omni antenna exhibits Left-Hand Circular polarization at the horizon and predominantly horizontal polarization above approx. 45 degrees elevation. 2 Meters: Cycloid Dipole. This omni antenna exhibits Left-Hand Circular polarization at the horizon and predominantly horizontal polarization above approx. 45 degrees elevation. 70 Centimeters: Currently using a 7 element vertically-polarized yagi pointed north, towards the Salt Lake metro area. Note: all three beacons are keyed simultaneously, by the same controller. The WA7X Beacons are operated in accordance with FCC Part §97.203. The 6 meter beacon operates on a nominal carrier frequency of 50.0700 MHz, the 2 meter beacon operates on 144.2990 MHz, and the 70cm beacon operates on 432.3990 MHz. There is also a stand-alone 10 meter beacon that operates during minutes 0-8 of every 10 minute block (e.g. 10-18, 40-48, etc.) using CW on 28280.300 kHz and on WSPR during minutes "8-10" on 28126.188 kHz in the WSPR sub-band. The purpose of these beacons is to facilitate receiver and antenna system testing, propagation observation, and to discern band openings as they occur. The final identification at the end of the beacon cycle. For all other text, the power level will be 10 watts - plus the 1 watt level during that test carrier. These changes were made primarily to reduce electrical power consumption (and operating costs) but by special request or during exceptional propagation conditions, the previous 100 watt power setting for all text (except for the 10 and 1 watt carriers) may be enabled remotely. All three beacons are keyed in parallel, that is, they send exactly the same message at exactly the same time. This beacon was put on the air in August, 2017, uses a QRP Labs "Ultimate Beacon 3S" and it operates independentally of the other beacons only on the 10 meter band using a 1/2 wave vertical antenna with an RF power level of about 2 watts. This beacon operates on a 10 minute repeating cycle, with a CW message at 15WPM repeating during minutes 0-7.5 of this cycle (e.g. minutes 0:00 to 7:30, 10:00-17:30, 20:00-27:30, etc.) on a frequency of 28280.300 kHz. During the other two minutes (8:00-9:55, 18:00-19:55, etc.) this beacon transmits using WSPR mode on a frequency of approximately 28126.188 kHz in the 10 meter WSPR subband. The frequency and timing of this beacon is GPS-based and it may be remotely turned on and off. The 2 and 6 meter beacons are based on GE Master Exec II VHF transceivers, each with a 110 watt P.A and have been in operation since about 2001. The receivers were removed (as they were not needed in this project) and the transmitters were re-crystalled and retuned for their respective frequencies. The transmitters were modified and extra circuitry was added to allow more precise and repeatable power control. Additionally, a microprocessor-based controller was added to select the beacons' output power and generate the CW message keying. The 6 meter beacon used a simple vertical J-pole until September 19, 2015, on which date a cycloid dipole - a larger version of the one that has been used for the 2 meter beacon - was installed. This antenna exhibits an omnidirectional pattern with Left-Hand Circular Polarization (LHCP). For more information about the Cycloid Dipole, read this page - link. After it was noted that the beacon was off the air, the radio was removed from its mount and water poured out. It turned out that the a seal for the conduit that conducted the antenna's feedline into the room had failed and had accumulated water. This water dripped onto the 6 meter beacon and damaged the exciter board and the crystal. It was also noted that there was some damage to the power equalization resistors in the power amplifier. Testing showed that the VSWR on the feedline was above 4:1 and this was caused by a broken connection at the antenna. As can be seen from the picture below, removing the 6-meter J-pole is no easy task, requiring some precarious work at the top of an extension ladder to both remove and install and some re-working of the plastic spacer and the way the RF connection was made to the matching element. The power controller was installed in another 6 meter radio chassis, its exciter was retuned and even though one of the leads of the crystal was corroded and broke off very close to the body, it was still possible to make a connection to it and the frequency seems to be stable. Once the repairs were made, it was put back online and was heard in the pacific northwest via sporadic-E within hours after that! For more information on the antennas, transmitter, and beacon controller, go to the Beacon Technical Page . As of 11/25/2006, the 70cm beacon was returned to the air using a permanant transmitter configuration. After operating for quite a while using an Icom all-mode 70cm radio pressed into service as the beacon transmitter, a UHF GE Mastr Exec II with a 75 watt final was obtained, modified for beacon operation, and put into service. The modifications made to the GE radio are very similar to those done to the 6 and 2 meter beacon transmitters, in that a "Servo" power control loop was installed to allow controlled power settings over a 20 dB range. Presently, the RF output power of the beacon is set to 55, 5.5, and 0.55 watts for the "100," "10," and "1 watt" settings, respectively. 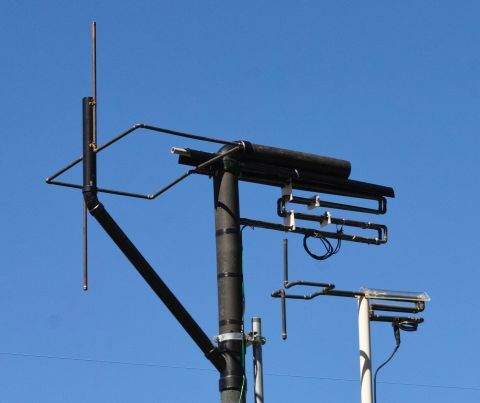 The antenna on the 70cm beacon is a vertically-polarized 7 element yagi pointed approximately due North with an upward elevation angle of approximately 10 degrees. The purpose of this configuration is to observe airplane scatter/reflection in the Salt Lake City area as well as to favor possible auroral propagation. With this antenna, the EIRP is very much higher than the power level stated in the beacon message and possible antenna changes are being considered. With the 7 element yagi, the radiated power (taking into account coax losses) is probably in the 750, 75 and 7.5 watt area at the respective power level. Note the 5 second "test carriers" after the the power level announcements. As mentioned above, only the "VVV" portion, the 100 watt announcement and its test carrier, and the final identification is transmitted at the full 100 watts. The rest of the message (except for the 1 watt test carrier) is transmitted at 10 watts. The older "all 100 watt" mode may be remotely reinstated by request. These beacons are operated from Glen's cabin (go to Glen's Cabin Cam page for more info) which is located in the mountains above Fairview, Utah at an altitude of approximately 8500 feet (about 2600 meters) on a northwest-facing slope. On (relatively) rare occasions, the beacons may be turned off for a few hours. This may happen when the cabin is occupied and Glen (or someone else present) is operating VHF/UHF. Note: For the moment, the 2 meter beacon will usually be turned on as the performance of the cycloid dipole is being evaluated. Why 100 watts (eirp) for a beacon? The 100 watt EIRP power level used by the 6 meter, 2 meter and 70cm beacons is well above average for a beacon. Why so much power? To be sure, if the band is open, even a 1 watt signal will be audible. For detection of auroral activity, however, a fairly high ERP (Effective Radiated Power) is required due to path loss. Most beacons intended primarily for detection of auroral activity use directional gain antennas - this allows much lower transmitter power to be run to maintain a high ERP - but these antennas may reduce the likelihood of being heard in other directions. While it is probably a good thing that most beacons don't run this much power, it was felt that with the beacons operating in such a remote location, and in a sparsely-populated part of the USA, such an ERP was justified. This particular remote location allows the majority of the "locals" (most of them being several mountain ranges and tens of miles away) to hear the beacons - but not have it be so strong that it disrupts reception of other beacons on nearby frequencies. Furthermore, the beacons are weak enough in the nearby population centers (e.g. Salt Lake City) that they may still be used for detection of auroral activity. The beacons' location offers an unobstructed view to the north - the direction in which auroral activity occurs in this hemisphere. All reception reports are greatly appreciated - and many thanks to those who have sent them. Beacons can be useful when working meteor scatter propagation as well. 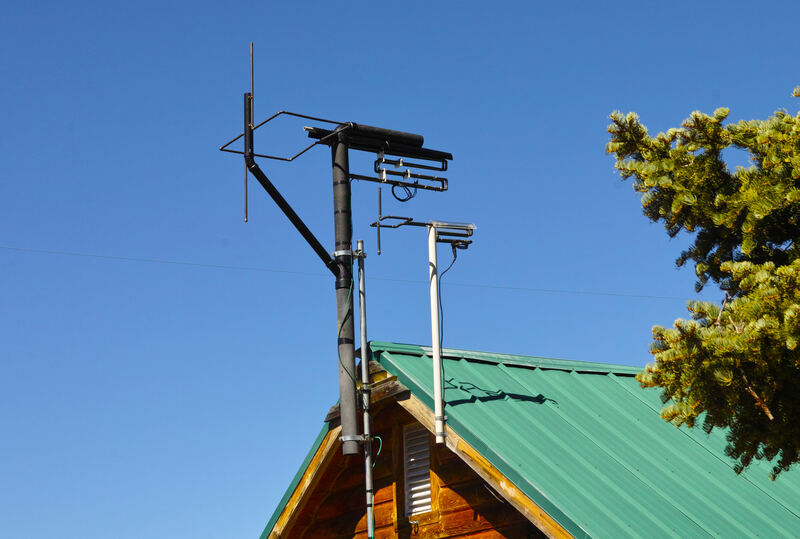 N6YM (grid CM88xf, northern California) has successfully used the WA7X 2 meter beacon to assist in such operation: By monitoring the beacon frequency he was able to tell when a path existed (when the beacon was audible) and make a call on the 2 meter calling frequency and snag a Colorado station. 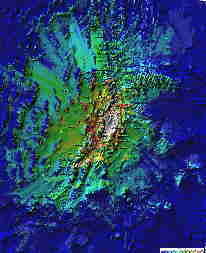 N6YM recorded the 2 meter beacon during an unusually long meteor "burn" on 14 October, 2001 at approximately 1551 Z. That recording may be found here in this 52kB MP3 file. Note the slight doppler shift near the beginning and end of the recording. KJ6KO has also used the beacon to "ambush" stations on Meteor scatter - and he describes his technique (and some of the results) here. For the 6 meter beacon: Reports of the 6 meter beacon have been received from many western Canadian provinces, all "western" states, including Texas, as well as Florida, with reports from Alaska and Japan. Additionally, the beacon has been copied throughout much of the state of Utah via "groundwave." For the 2 meter beacon: The 2 meter beacon has been reported with good signals in the Salt Lake City area - about 75 air miles to the north and west. The beacon has also been heard in California in CM98 and CM88 via Es/Tropo as well as Meteor Scatter on several occasions. If you wish to contact WA7X - the operator of these beacons with a question or with a reception report you may send an email to WA7X . G3USF's Worldwide list of 50 MHz beacons - Perhaps the most consistently up-to-date listing of 6 meter beacons. The "DX Summit" This site has a "Live" page showing who is hearing what, and who heard what in the past. The 6 Meter Worldwide DX Club - general info about 6 meter operation. The North Texas Microwave Society (NTMS)has a lot of info on VHF/UHF/Microwave operation. Note: This page may not work reliably with browsers other than Internet Explorer. They maintain a list of beacons that may be found here . Note: Look near the bottom of the page for the links to the North American beacons.